PC manufacturers that are betting on the launch of Windows 10 to boost their coffers and their fortunes are likely to be disappointed by our latest survey results. Less than one in five of all the respondents in our latest survey said that they would experience Windows 10 on a new device (desktop, laptop or tablet). In comparison, just over a third of those whose took part in the research said that they would upgrade to Windows 10 from their Windows 8.1/7 PC, thereby depriving manufacturers from a potential revenue windfall. 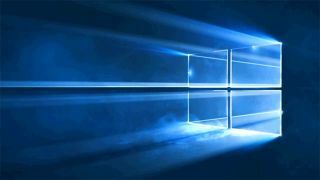 About a quarter said that they will stay on Windows 7/8.1 , the two OSes that will get Windows 10 for free, and have no plans to move to Microsoft's latest and finest. The rest of the crowd is opting to stick with their antiquated Windows operating system (9% of respondents), Linux or Mac operating systems (6%) or a mobile OS (5%) as their main computer. More than 3500 TechRadar readers took part in the survey which was carried out last week. Windows 10 was released a week ago and will be free for Windows 8.1 and Windows 7 users that have a genuine license for the next 51 weeks. You can read our Windows 10 review and our ongoing coverage of Windows 10. What application you are more likely to blame for making your PC slow? Which of these features made you upgrade to Windows 10?